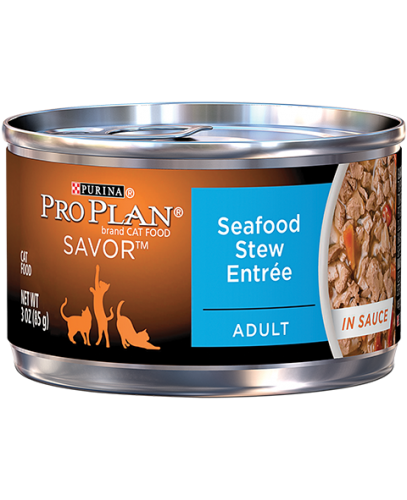 Most cats love seafood, which is why Pro Plan Seafood Stew Entree In Sauce Canned Cat Food is a must in every cat-loving homes. 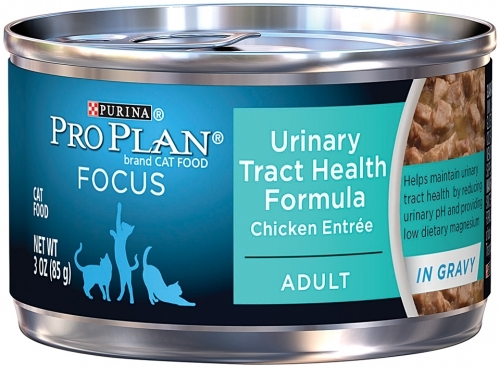 With a balanced amount of omega fatty acids, this healthy canned food for cats helps your cat's skin and coat look great. 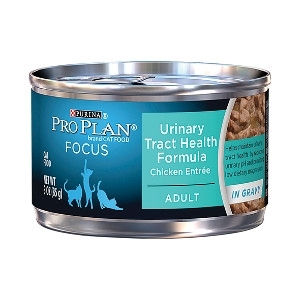 Made to help support immune health, Pro Plan Seafood Stew Entree In Sauce Canned Cat Food is made with high-quality ingredients, plus this delicious Pro Plan formula has balanced nutrition every adult cat needs for a healthy and happy life. If your cat has good taste, then he or she will love the rich flavor of real chicken, pasta, and spinach in this Pro Plan meal. 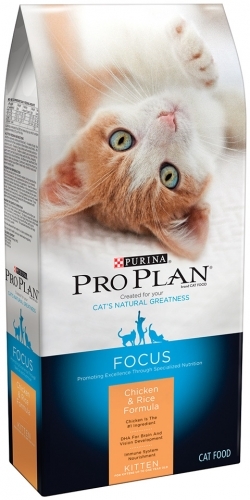 Pro Plan Ocean Whitefish & Tuna Entre for Kittens is made with delicious, healthful fish. 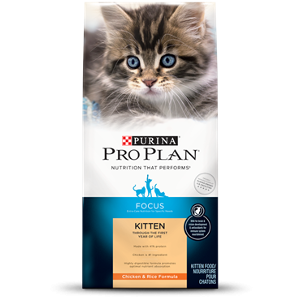 Not only does it help bolster your kitten's developing key protective systems during this formative stage - the immune system, digestive system and skin & coat system - it also is formulated to supply your kitten with energy and the building blocks needed to grow healthy and strong.